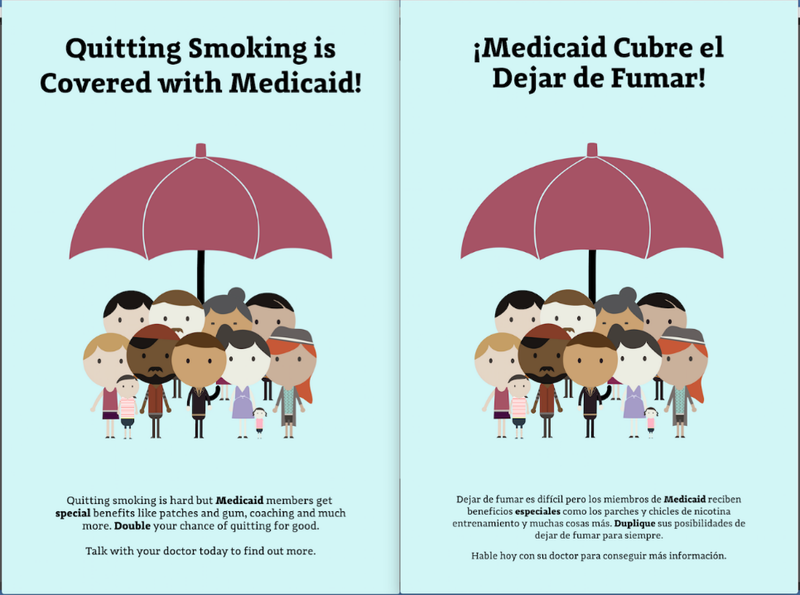 statewide campaign in English and Spanish to educate Medicaid members about the benefits available to help them quit smoking. 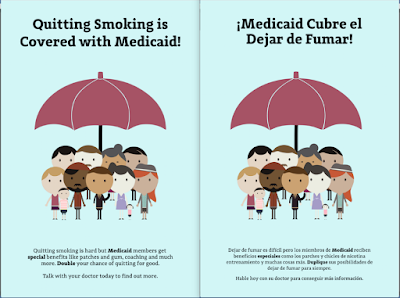 The campaign, “Quitting Smoking is Covered with Medicaid!” will feature Facebook, online and mobile display ads, and Pandora radio ads geo-targeted to Colorado counties with the highest tobacco use burden. Tobacco use remains a health equity issue in Colorado, with Medicaid members bearing not only a disproportionately high burden of use, but also a disparately low rate of cessation success. The State Tobacco Education and Prevention Program (STEPP) is committed to expanding awareness of and access to proven tobacco treatments for all people living in Colorado. The campaign will run from December 2017-May 2018 with ads targeting the general Medicaid population as well as pregnant women. New downloadable resources are also available to support the campaign messaging; the new templates are available to partners at COHealthResources.org. The mass media campaign is part of a larger effort to encourage providers to educate patients about cessation benefits such as counseling and medications available to them as part of their health insurance with Medicaid. In addition to mass media outreach, the campaign will also include posters to help raise awareness in doctor’s offices, including behavioral health centers and OB-GYN offices. The campaign coincides with another important step towards eliminating barriers to successful tobacco cessation. Health First Colorado (Medicaid) will no longer require a co-pay for tobacco cessation medications. Health First Colorado providers can prescribe any of the seven FDA-approved nicotine replacement therapy (NRT) and non-nicotine containing medications, all of which are on the Medicaid formulary and available to any Health First Colorado member at participating local pharmacies.